If you’ve noticed a change to Google’s search results in the past few weeks, it’s because they’ve implemented a new system called “Google Instant.” This is just for people who go to the Google.com site; it doesn’t currently work from a Google search toolbar. 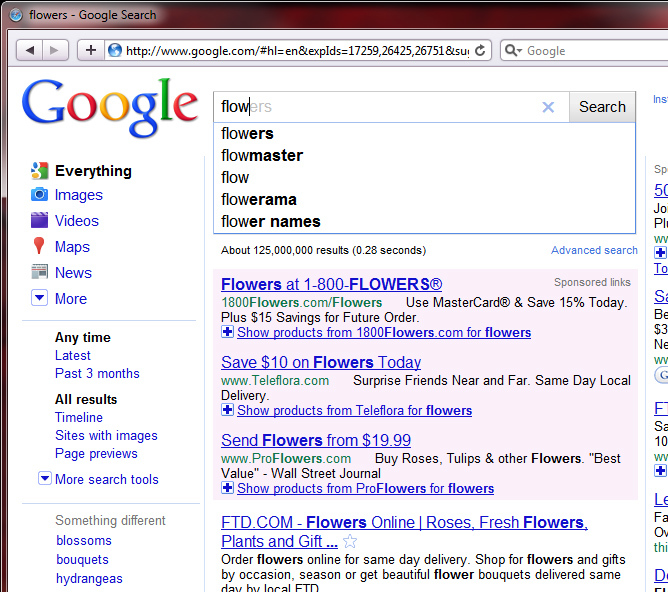 As you type, the search results start to appear before your eyes. According to Google, before Google Instant, the typical searcher took more than 9 seconds to enter a search term. Using Google Instant can save 2-5 seconds per search. All this is wonderful for the end user. But how does this affect Search Engine Optimization and Pay Per Click (PPC) Advertising for businesses and organizations? The user begins to type a query on Google and clicks anywhere on the page (a search result, an ad, a spelling correction, or a related search). The user clicks on the Search button, presses Enter, or selects one of the predicted queries. 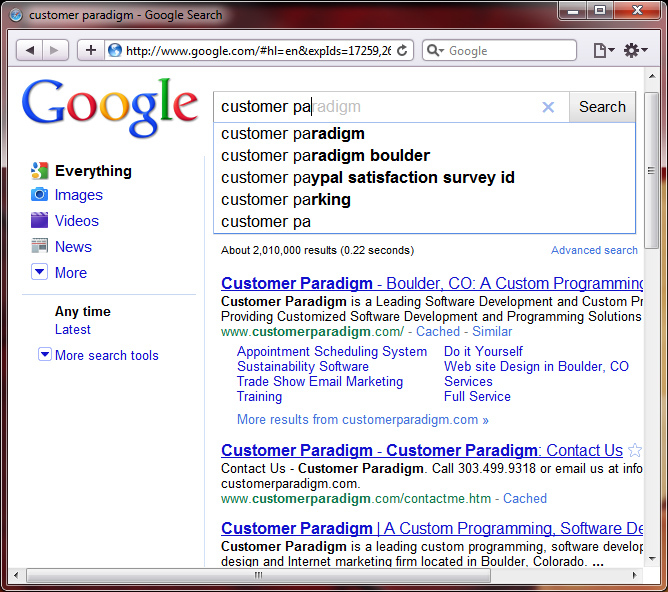 Google acknowledges that their Instant search results system might affect the overall advertising impression levels. However, they feel that Google Instant may be able to improve the quality of the clickthroughs to your site, as it’s helping people search using terms that, according to Google, more directly connect them with the answers they need. Long Tail Keywords May Be Affected: A search term such as “car stereo” is a high volume search term. People spend a lot of time and energy to get great search positioning for a keyword such as this, as a #1 result guarantees a tremendous amount of traffic. The worry from search engine optimization experts is that with Google Instant, search results are displayed as a person types, so they may be less likely to keep typing the whole long tail keyword search. Therefore, it may be increasingly important to optimize your site for shorter keyword terms vs. the longer tail keyword terms. Cost Per Click Prices May Increase: If predictions are true and long tail keyword searches decrease, more and more advertisers will be forced to bid for the more expensive, shorter keyword terms. This may run up the price of Pay Per Click (PPC) advertising as a result. More Information: Want to better understand how Google Instant Search affects your site’s search engine optimization or cost per click marketing? Contact us for a no-cost consultation. I hope you found this case study helpful – please let me know if you’d like to discuss if Google Instant affects your site’s search engine optimization or cost per click marketing campaigns.